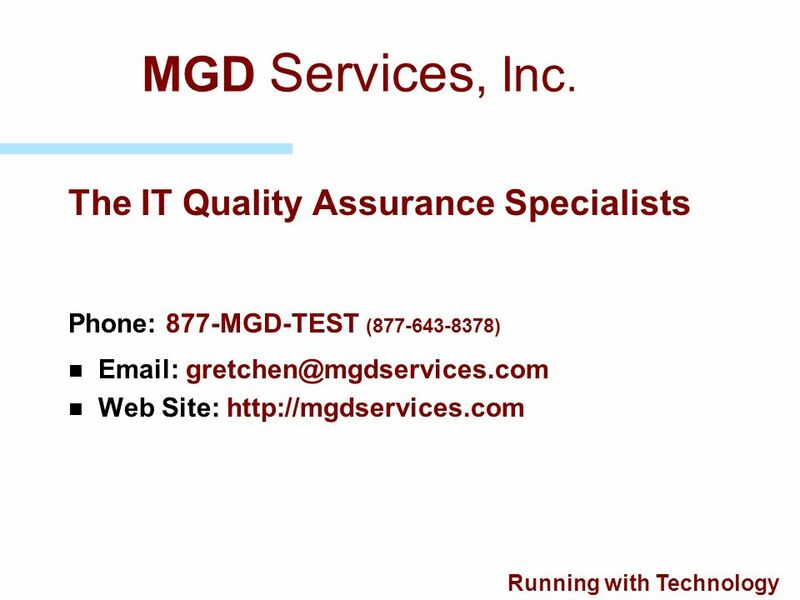 Phone: 877-MGD-TEST ( ) Web Site: MGD Services, Inc. MG Documentation Services, Inc. has been supplying consulting professionals to corporate IS departments in support of computer systems development projects for over 11 years. 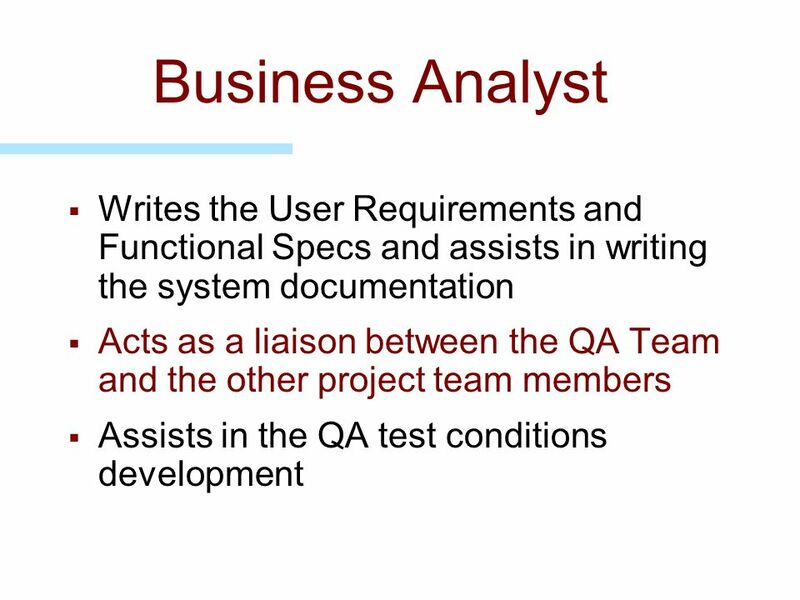 We supply well trained, seasoned personnel to perform all tasks involved in the entire project life cycle for computer systems development. Our area of expertise is to supply Quality Assurance methods and practices consulting personnel to corporate information systems departments. 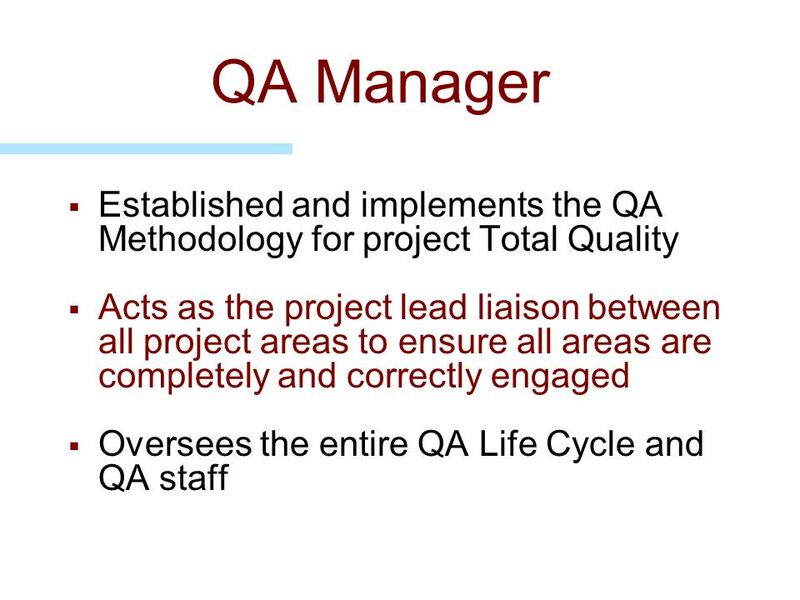 Our Quality Assurance personnel, which includes QA Managers, QA Analysts, Business Analysts, Technical Writers and Trainers, are involved in computer systems development projects from inception through the project life cycle into production and on into system maintenance and enhancements. 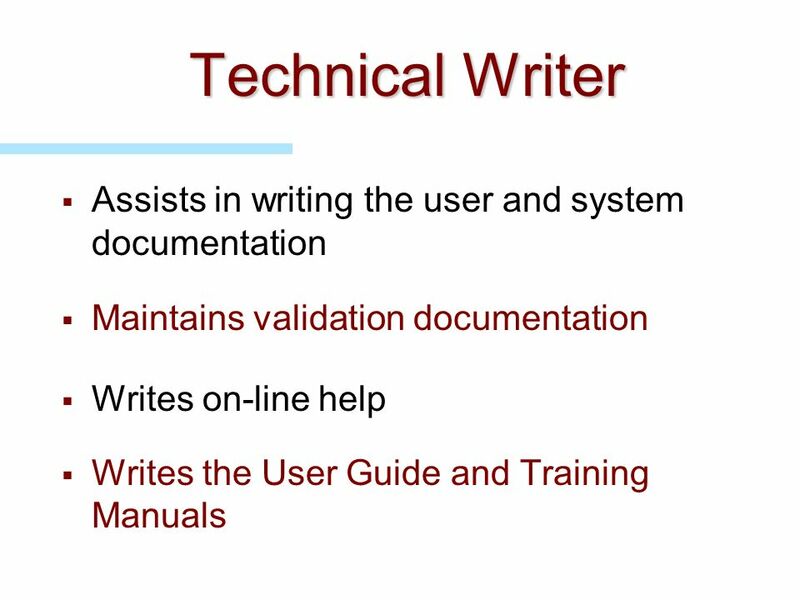 We work closely with both the system development staff and the end user community to provide a system that meets the project requirements. 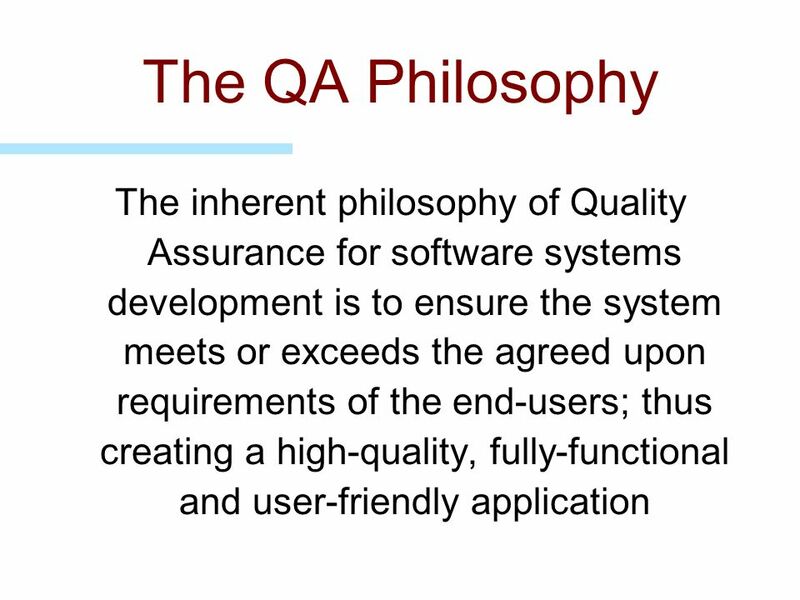 Running with Technology MGD Services, Inc.
Quality Assurance An Integral Part of Software Systems Development Life Cycle by MGD Services, Inc. MGD Services, Inc.
3 The QA Philosophy The inherent philosophy of Quality Assurance for software systems development is to ensure the system meets or exceeds the agreed upon requirements of the end-users; thus creating a high-quality, fully-functional and user-friendly application MGD Services, Inc.
Quality Assurance is involved in the entire project development life cycle Quality Assurance is a commitment by all project participants to the Total Quality of the Project MGD Services, Inc.
Machine-based testing performed No machine-based testing performed 30 25 The objective is to “buy” time and reduce costs by finding problems earlier Project Data 20 Target % Defects Removed 15 10 5 Function Test System Integration Test Quality Assurance Regression Test Requirements High Level Design Low Level Design Code Development Unit Test by focusing here Development Life Cycle Relative Cost Of Defect Repair - $ $ $1000+ MGD Services, Inc.
6 The QA Process Cycle Phase I: Requirements Gathering, Documentation and Agreement Phase II: Establishing Project Standards Phase III: Test Planning Phase IV: Test Case Development Phase V: QA Testing Phase VI: User Acceptance Testing Phase VII: System Validation MGD Services, Inc. 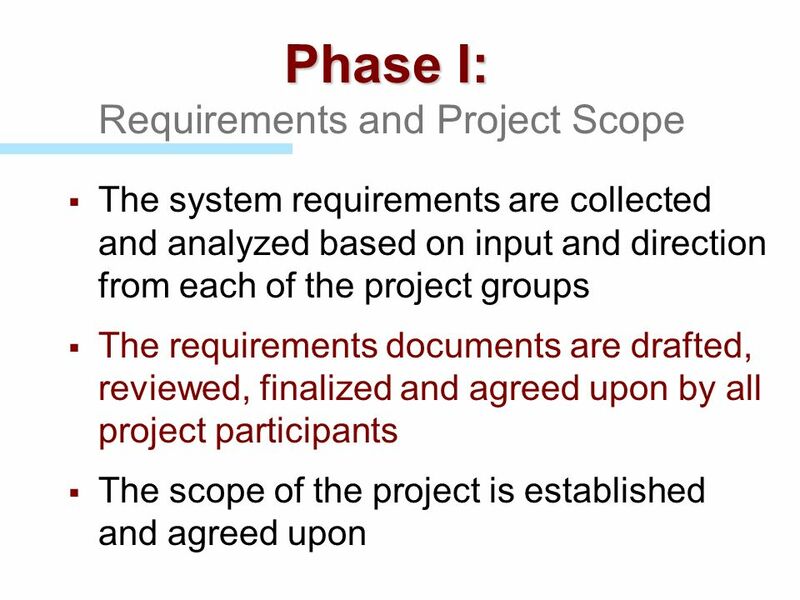 The system requirements are collected and analyzed based on input and direction from each of the project groups The requirements documents are drafted, reviewed, finalized and agreed upon by all project participants The scope of the project is established and agreed upon MGD Services, Inc. 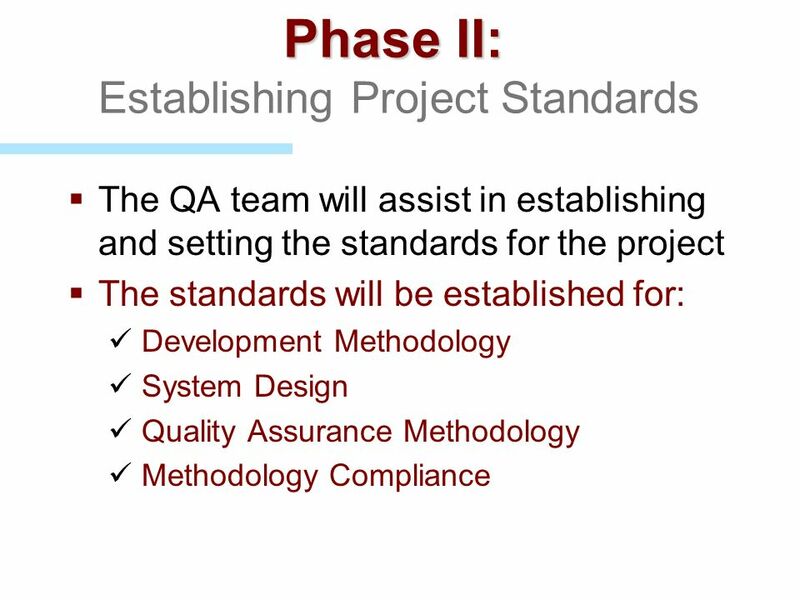 The QA team will assist in establishing and setting the standards for the project The standards will be established for: Development Methodology System Design Quality Assurance Methodology Methodology Compliance MGD Services, Inc. 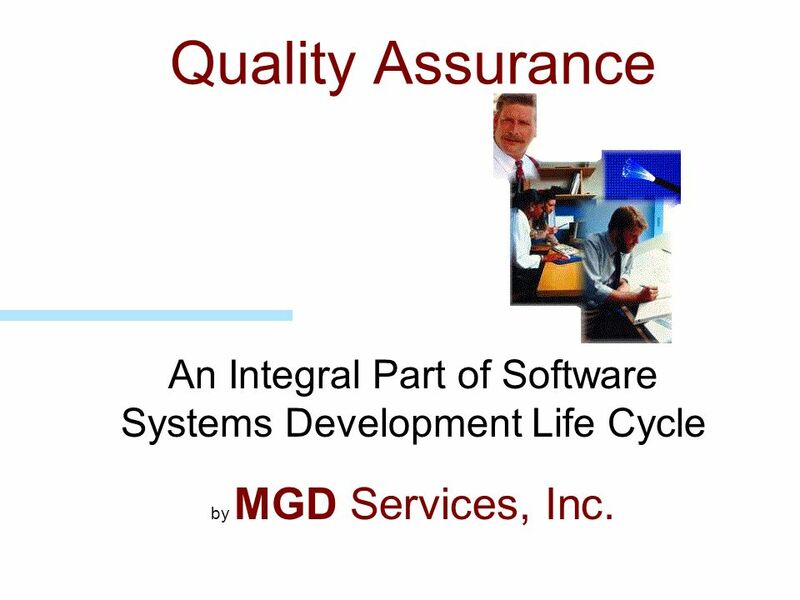 The Quality Assurance Team will: Write the Test Plans which detail the QA involvement for the entire project life cycle Develop test conditions based on the business needs and business scenarios Implement a defect-tracking mechanism MGD Services, Inc. 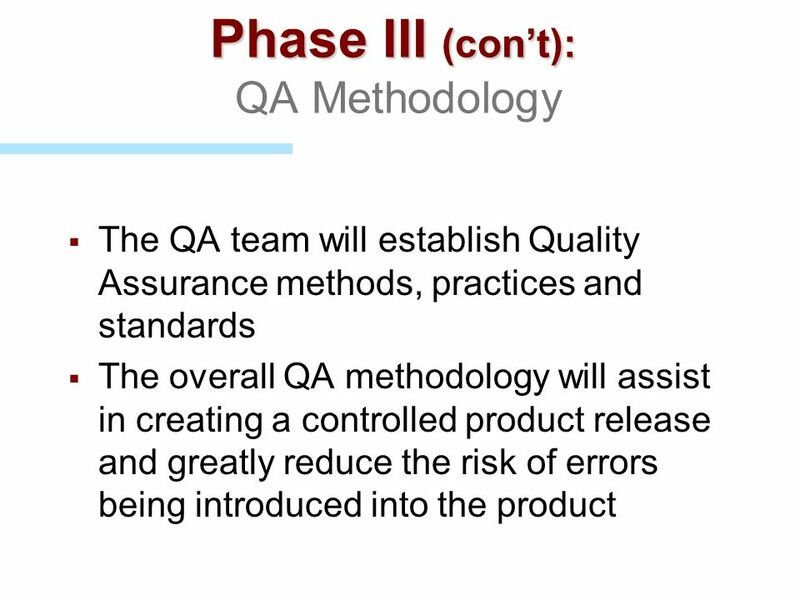 The QA team will establish Quality Assurance methods, practices and standards The overall QA methodology will assist in creating a controlled product release and greatly reduce the risk of errors being introduced into the product MGD Services, Inc.
Write test cases that entirely test the scenarios covered in the test conditions Review the test conditions and subsequent test cases with the project users Write test cases that will cover all phases of the QA life cycle MGD Services, Inc. 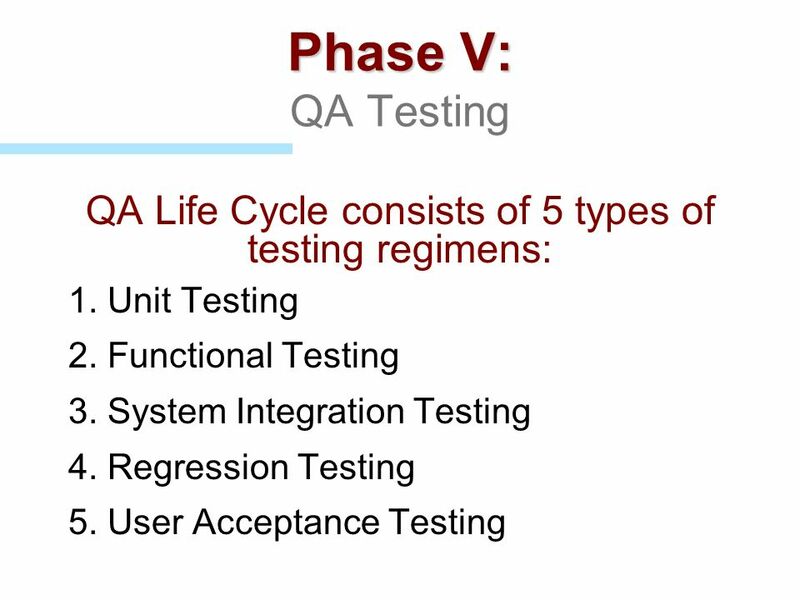 Phase V: QA Testing QA Life Cycle consists of 5 types of testing regimens: 1. 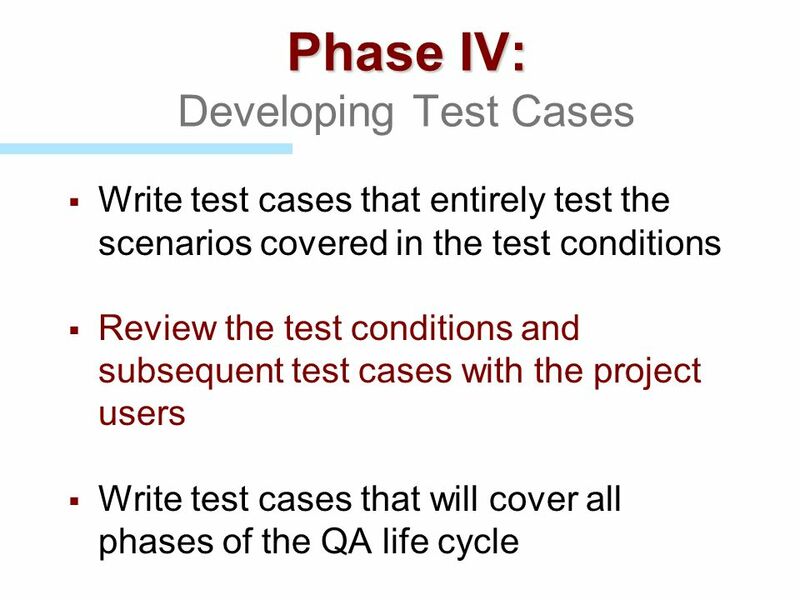 Unit Testing 2. 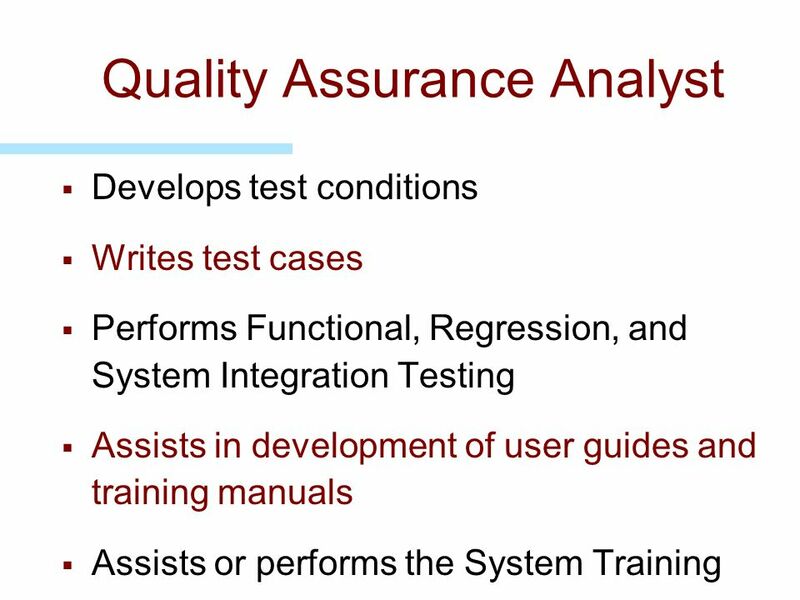 Functional Testing 3. System Integration Testing 4. Regression Testing 5. 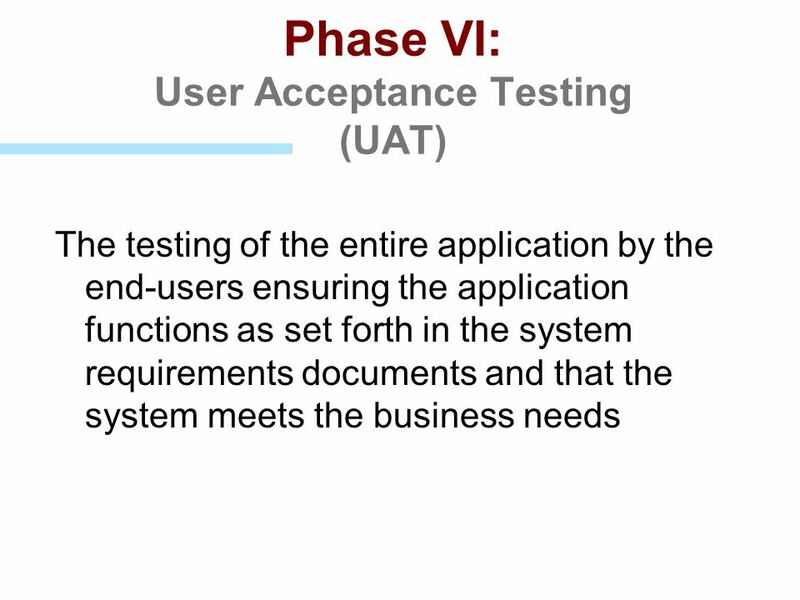 User Acceptance Testing MGD Services, Inc.
13 1. 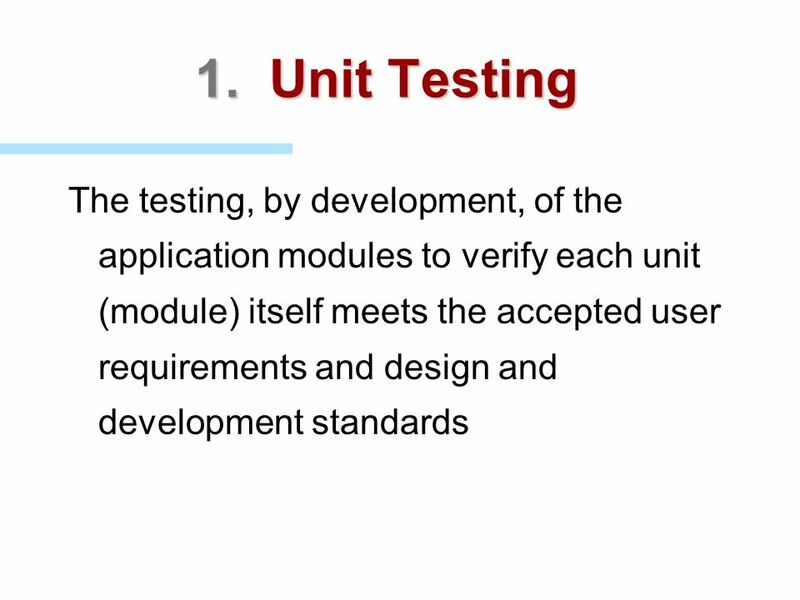 Unit Testing The testing, by development, of the application modules to verify each unit (module) itself meets the accepted user requirements and design and development standards MGD Services, Inc.
14 2. 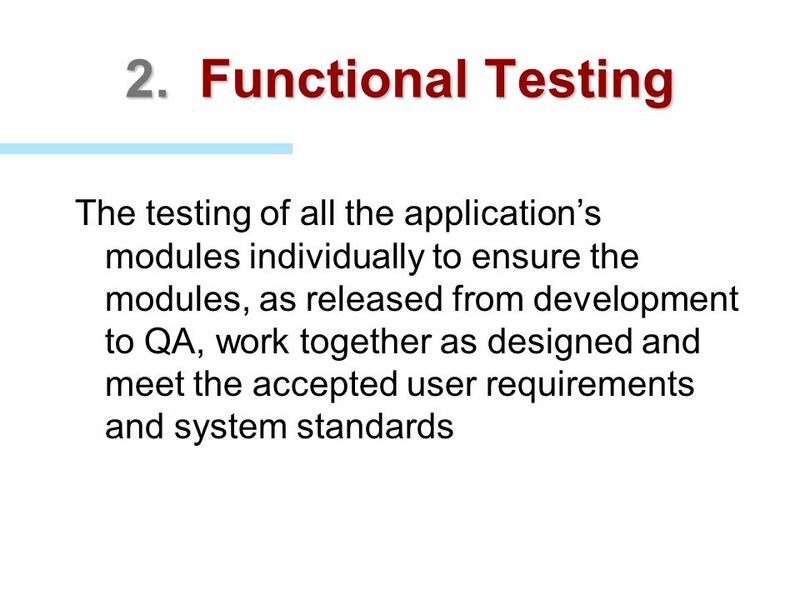 Functional Testing The testing of all the application’s modules individually to ensure the modules, as released from development to QA, work together as designed and meet the accepted user requirements and system standards MGD Services, Inc. 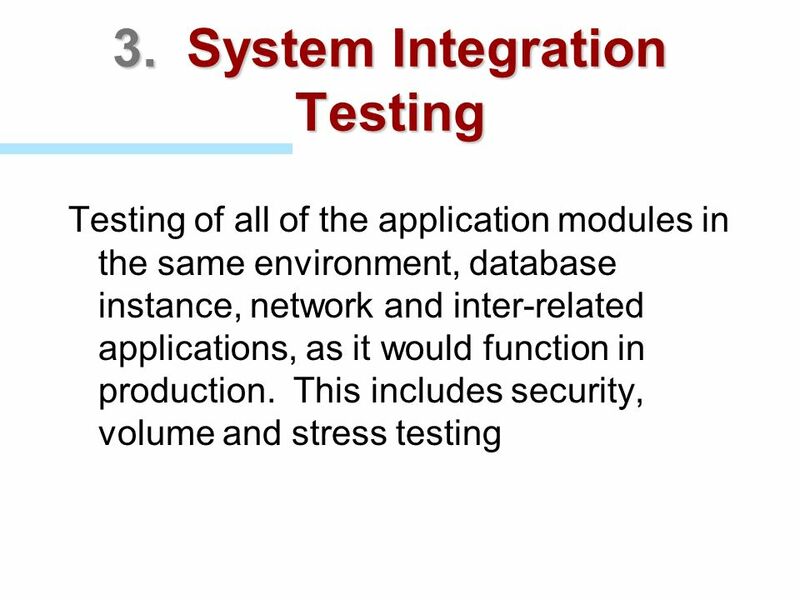 Testing of all of the application modules in the same environment, database instance, network and inter-related applications, as it would function in production. 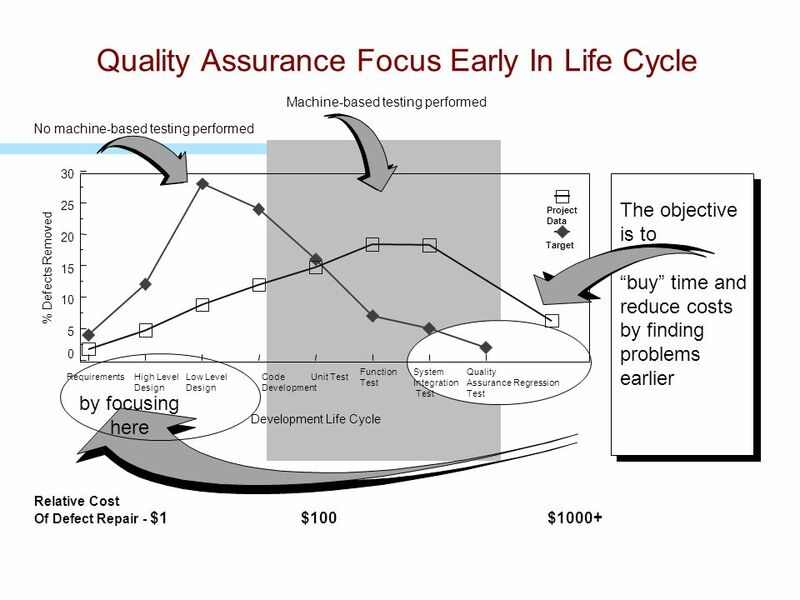 This includes security, volume and stress testing MGD Services, Inc.
16 4. 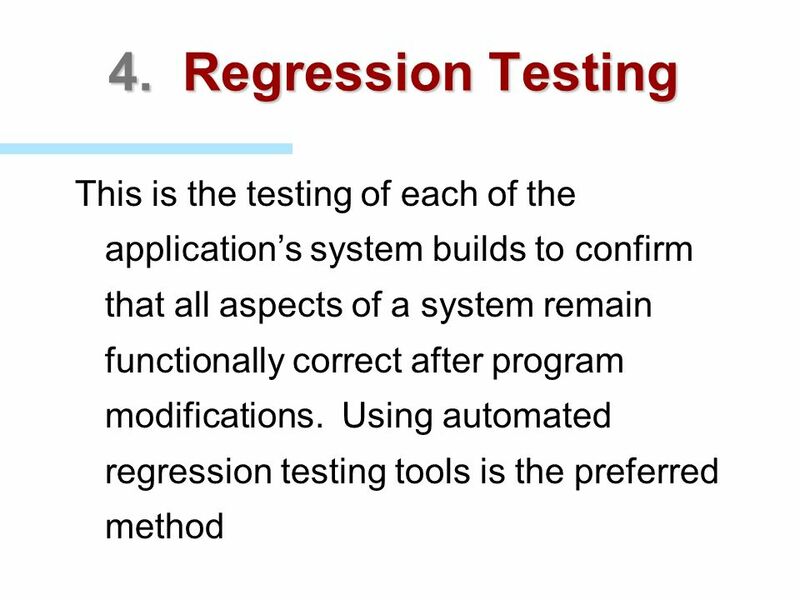 Regression Testing This is the testing of each of the application’s system builds to confirm that all aspects of a system remain functionally correct after program modifications. 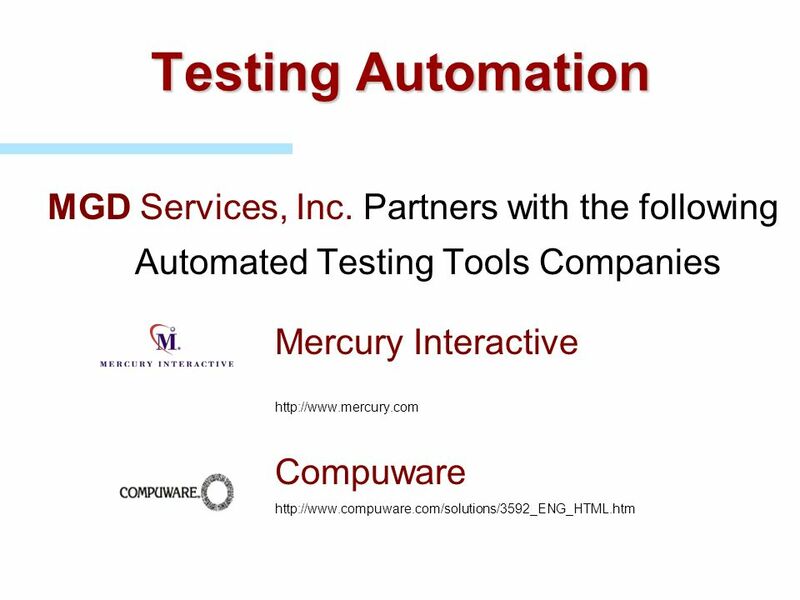 Using automated regression testing tools is the preferred method MGD Services, Inc.
MGD Services, Inc. Partners with the following Automated Testing Tools Companies Mercury Interactive Compuware MGD Services, Inc. 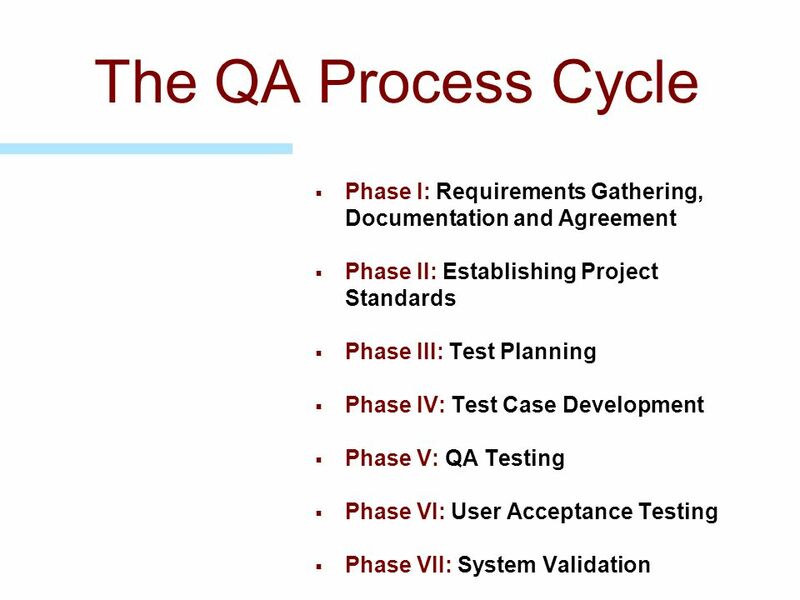 The testing of the entire application by the end-users ensuring the application functions as set forth in the system requirements documents and that the system meets the business needs MGD Services, Inc.
19 Phase VII: Validation All systems should go through a validation process which maintains the project documentation library MGD Services, Inc.
All software systems that are developed or used for FDA submissions are subject to review by the FDA. 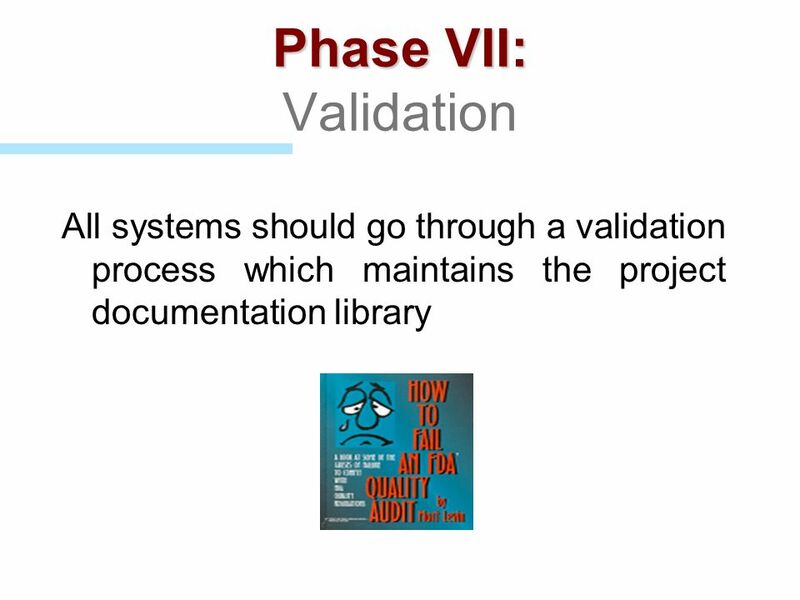 All phases of the Project Life Cycle are required to maintain FDA validation documents. 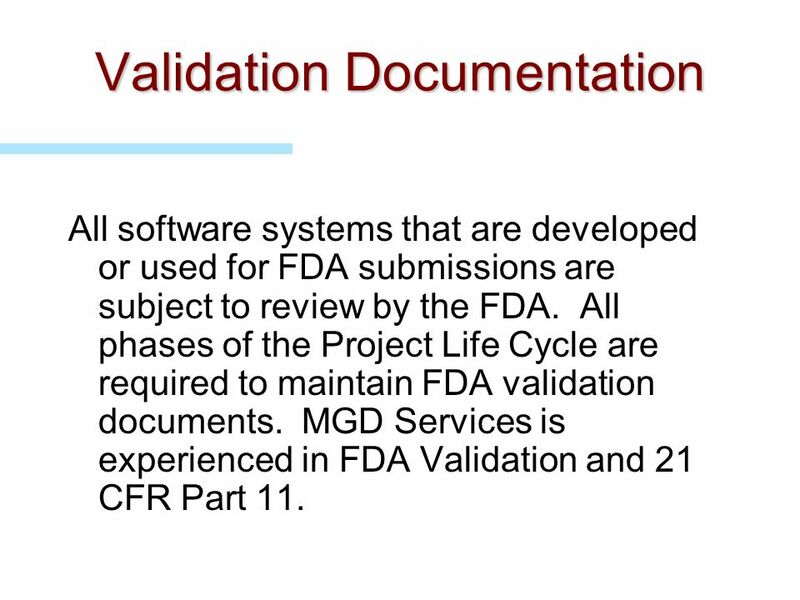 MGD Services is experienced in FDA Validation and 21 CFR Part 11. MGD Services, Inc. 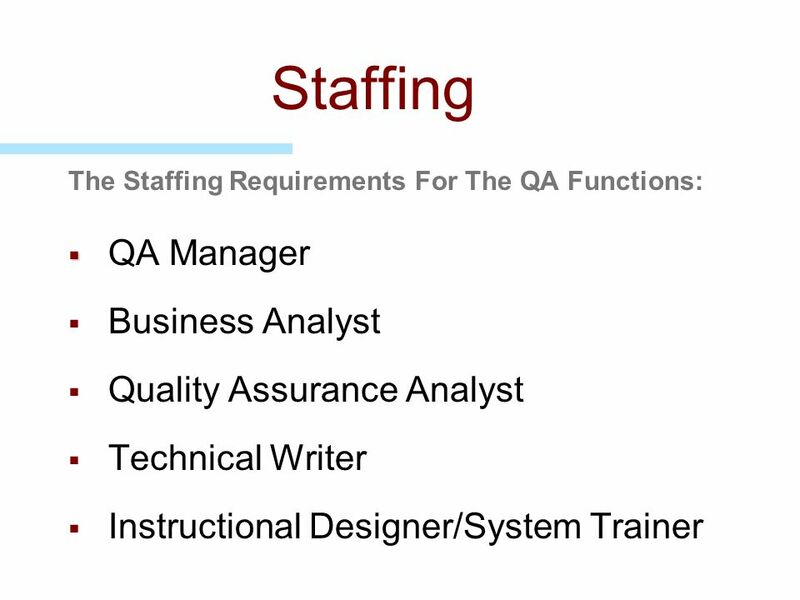 The Staffing Requirements For The QA Functions: QA Manager Business Analyst Quality Assurance Analyst Technical Writer Instructional Designer/System Trainer MGD Services, Inc.
22 QA Manager Established and implements the QA Methodology for project Total Quality Acts as the project lead liaison between all project areas to ensure all areas are completely and correctly engaged Oversees the entire QA Life Cycle and QA staff MGD Services, Inc.
23 Business Analyst Writes the User Requirements and Functional Specs and assists in writing the system documentation Acts as a liaison between the QA Team and the other project team members Assists in the QA test conditions development MGD Services, Inc.
Develops test conditions Writes test cases Performs Functional, Regression, and System Integration Testing Assists in development of user guides and training manuals Assists or performs the System Training MGD Services, Inc.
Maintains validation documentation Writes on-line help Writes the User Guide and Training Manuals MGD Services, Inc. 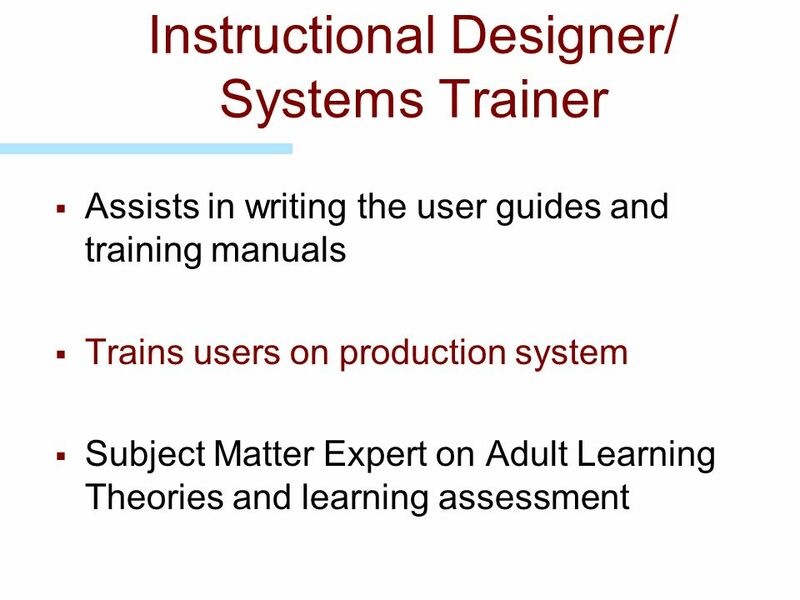 Assists in writing the user guides and training manuals Trains users on production system Subject Matter Expert on Adult Learning Theories and learning assessment MGD Services, Inc.
27 In Closing... QA’s involvement must be from the beginning to the end of the project life cycle. 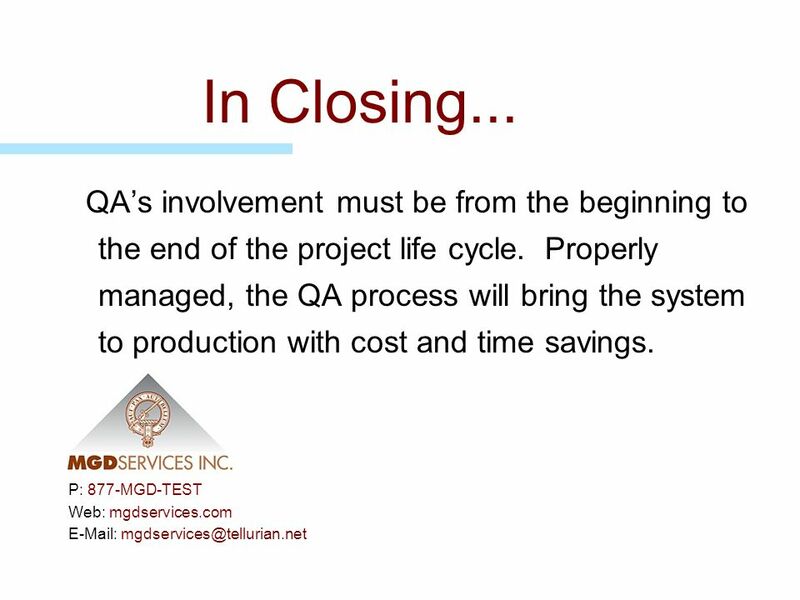 Properly managed, the QA process will bring the system to production with cost and time savings. P: 877-MGD-TEST Web: mgdservices.com MGD Services, Inc.
Download ppt "MGD Services, Inc. 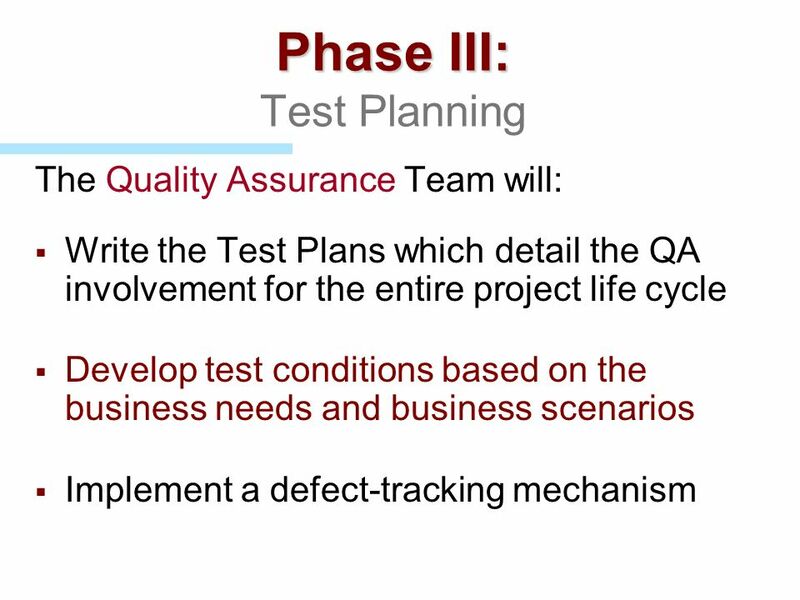 The IT Quality Assurance Specialists"
Adult Protective Services System (APSS) Project Progress Report Prepared by: APSS Project Team Date: September 16, 2008. Audit of IT Systems SARQA / DKG Scandinavian Conference, October 2002, Copenhagen Sue Gregory. 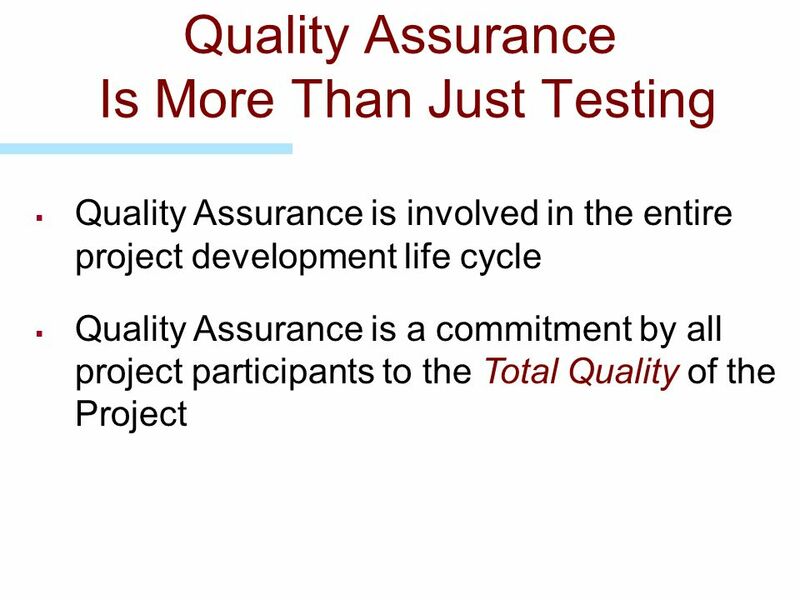 Software Quality Assurance Inspection by Ross Simmerman Software developers follow a method of software quality assurance and try to eliminate bugs prior. Stepan Potiyenko ISS Sr.SW Developer.